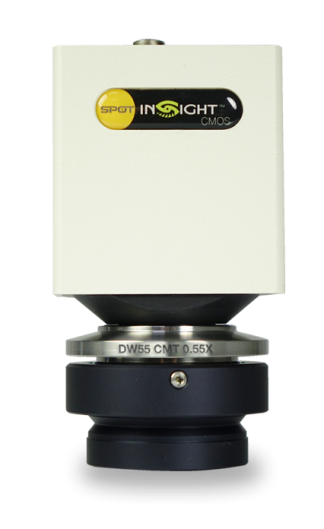 SPOT Imaging solved your frustration with a limited field of view. We were not satisfied until we designed the Ultra Wide FOV imaging package. 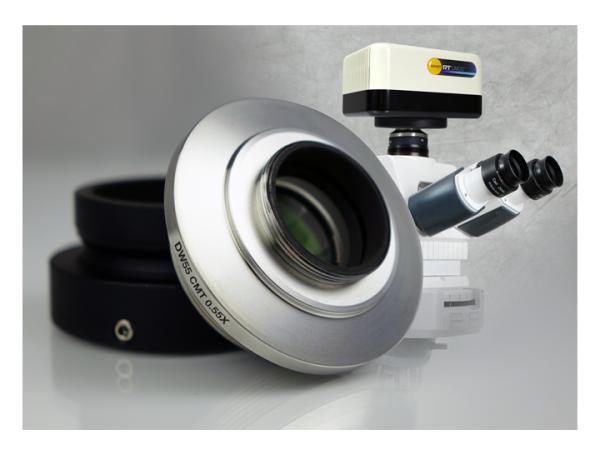 Our new DW .55X microscope adapter is the perfect companion for SPOT cameras with the new Sony Pregius™ 5MP sensor, allowing you to capture previously uncaptured areas of your specimen. 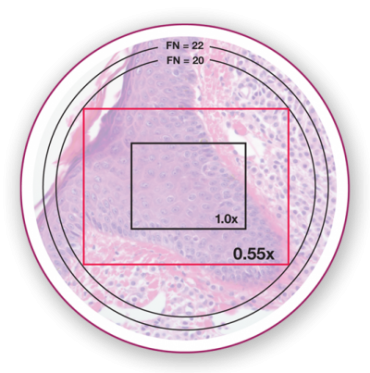 For the first time, researchers can capture 31% more specimen area when compared to the area captured with the industry standard 0.63X adapter. 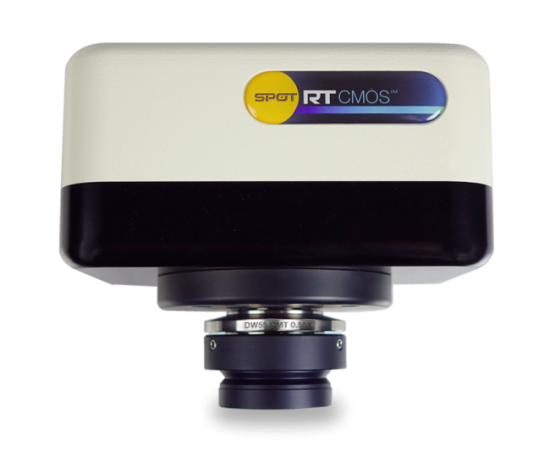 The SPOT RT sCMOS cools Sony’s breakthrough Pregius 5MP monochrome sensor. Now dim images can be seen without becoming obscured by dark current. The RT sCMOS camera combined with the DW .55X gives you the perfect solution. and sensitivity in a 5MP color CMOS camera.